Raees (An Indian crime thriller) : 9 Tadka That’s Going To Make Raees A Bigger Hit Than Any Other 2016 Release!!! It shows the story of a cruel and clever bootlegger (played by Shah Rukh Khan) whose business is seriously challenged and eventually by a tough cop (played by Nawazuddin Siddiqui). The film criticizes the prohibition of alcohol, prostitution and illegal drugs in Gujarat. 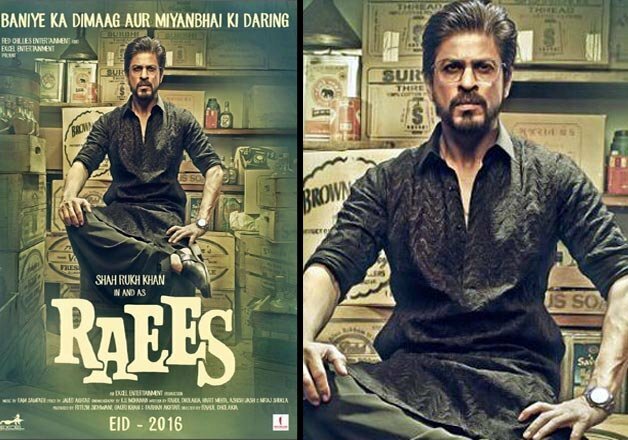 Raees is a story of a cruel and clever bootlegger who get’s in trouble when a brave cop starts chasing him. SRK is a marketing guru too. The actor – producer has joined with Eros to distribute the film world wide. This will multiply the film earning as Eros is known for distributing films in US and UK. Shahrukh plays an underworld don and Pakistani Actress Mahira Khan plays his wife. Nawazuddin Siddiqui also plays a crucial role in the film like every other film he has been a part. Mahira Khan had a Pakistani release ‘Bin Roye’ during ‘Bajrangi Bhaijaan’ but did not get to release due to some differences since it is a Pakistani film. But that doesn’t stop her from releasing a film as she is coming with SRK in Raees. We can call him another SRK who is living his dreams in Mumbai. He had gone through a lot of struggle for a long time and now finally this man is enjoying the fruits of his hard work. He has a different style of acting and no one in the industry can replace him. He looks so intense and best suited for his role in Raees. The actor has gone through few surgeries in the past and yet looks fit in the film. He will be seen shirtless flaunting his body on screen next year in this movie. They are the best in the industry and SRK have been in touch with them constantly right from the beginning. He is known for arriving late on the sets but for Raees he arrives an hour ago. Everyone in the team is working hard and equally interested with the script. The dialogues makes us more curious about the film!!! SRK fans are going crazy for Raees and they couldn’t stop themselves from making these creative posters and trailer. Seems like the movie doesn’t need a marketing team of it’s own. Fans are already busy marketing Raees with their creative techniques. Write down your expectations for the movie in the comment section.